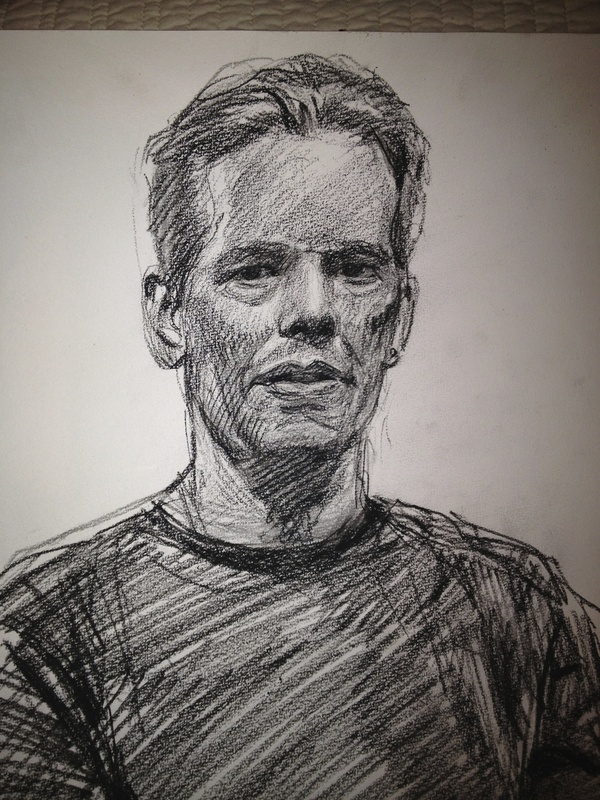 DAY 38, Tuesday June 18 – Portraits and perception of self. 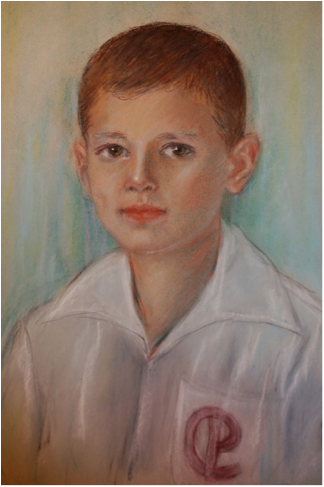 When I was 10 years old, for some reason, my parents decided it was a good idea to have my portrait done by a professional portrait artist. I still have this portrait. Sometimes it hangs in my home. Sometimes I put it away feeling a bit self-conscious … and always wondering if it truly captured who I was at that tender age. 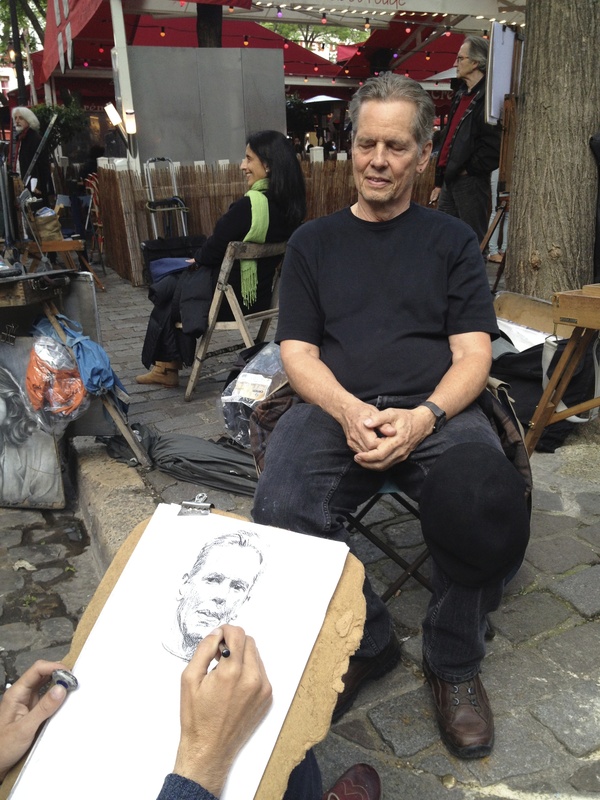 Last week I was in Paris as as my friend Serge and I were climbing up to see Sacre Coeur we came upon an open air art market where there we dozens of artists, and for a few euros you could get your portrait done. Something told me I had to do it … again … 60 years later. So now I have these two portraits. I am thinking of hanging them both in my home, next to each other. But then I wonder how self-conscious I will become … and I continue to wonder if either of them captured who I really am.